I gotta keep it real with you all. I am crying as I type this. I have heard people say how can you sit here and cry about someone you never met. Let me make this clear. This IS my family. This class, the artists I play. The people that do things for the show you have no idea about. This culture, lost an architecht. A man that contributed to more than a couple of good times in your life. To consider yourself REALLY hip hop, you had to have had a lump in your throat, when you heard he had fallen ill. I had a show planned for this Friday but I have to go with Guru’s music. An amazing time that he contributed to in my life was the Spring of 1991. Me and my friends, Reed, Pro, and Deon would sit up and argue over which song was better off of the Step In The Arena album. The only album to where my favorite song changed daily. No one ever mentions that album but it’s in my top 10 and as I’m preparing my show for this week, it’s moving up that list. Guru’s flow has always been unique but reliable. He resides alone on the monotone throne. However when he wanted to get you fired up he could. You knew what you were getting with Guru and you were rarely disappointed. The godfather of Hip Hop jazz with his Jazzmatazz series. He worked well alone and in a group. Just a truly great MC. There has been controversy, innuendo, rumors about the last few months in Guru’s life. I’ve been discussing these things with the class all day on Facebook. I will not discuss them here. This is a place for me to get out my random thoughts about what I’m feeling today and I’m sure I’ll be letting out a little with my family Friday night. Today a major contributor to this thing we call hip hop passed. I consider myself Hip Hop. Why wouldn’t I be a little tearful? Gifted Unlimited Rhymes Universal. Yep that about says it. R.I.P. Guru. ~ by Professor Mike on April 20, 2010. Great post, I know this is affecting you, your writing conveys your emotion. 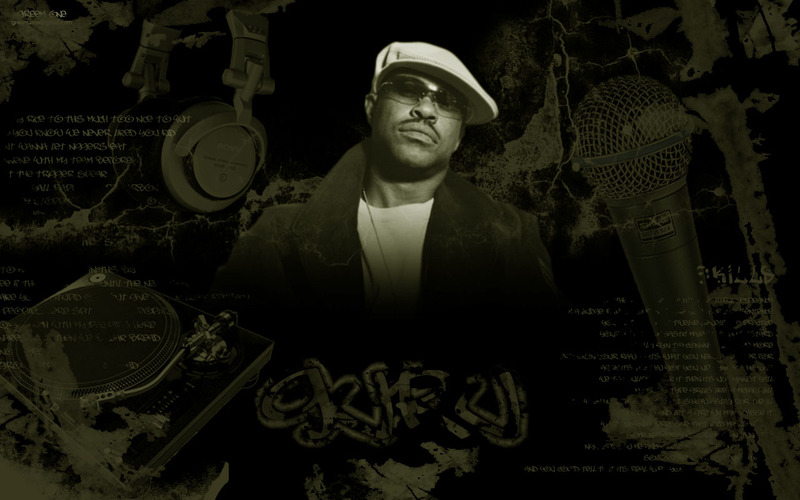 I am glad you didnt touch on the rumors, Guru should be celebrated for the life he lived and the art he created.